Fans Queeing up for Jin Autograph/Meet and Greet session. ICDS 2015 was held over the weekends of the 22nd to 23rd of August 2015 over at *Scape. 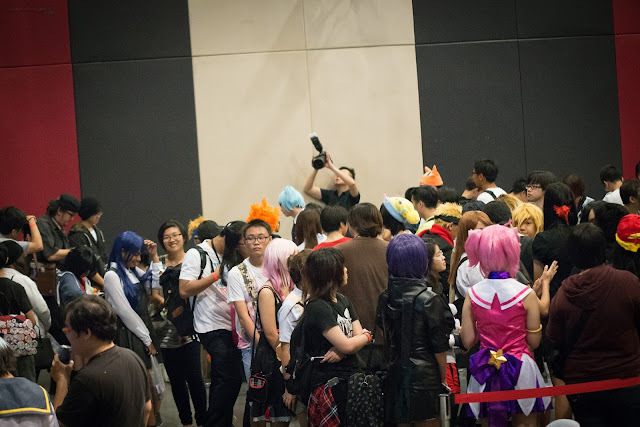 ICDS 2015 brought scores of pop-culture attendees to the event ground. This year Neo Tokyo Project invited Jin (behindinfinity) as thier cosplay guest this year, whom shared her valuable experiences with the audiences during her on Stage Q&A session.Fan are delighted to meet her up close and personal during the meet and greet sessions held over the two days of the event. Besides many of the stage activities at level 1, Doujin fans flooded *Scape treetop for Doujinma, Many did not return home empty handed as a selection of fan art works by local doujin artist were on sale. Regardless, of one's fandom he or she will have spotted something they like at Doujinma. Contestants Battling it out during the Anime quiz. Think you know your anime well? Think Again! Anime Quiz saw the contestant whom are seasoned Anime fans being challaged right on stage. There were many funny moments as the options provided are given a local twist,such as the one seen above. Kudos to who ever that came out with this idea LOL. Cosplay runway participant on stage. 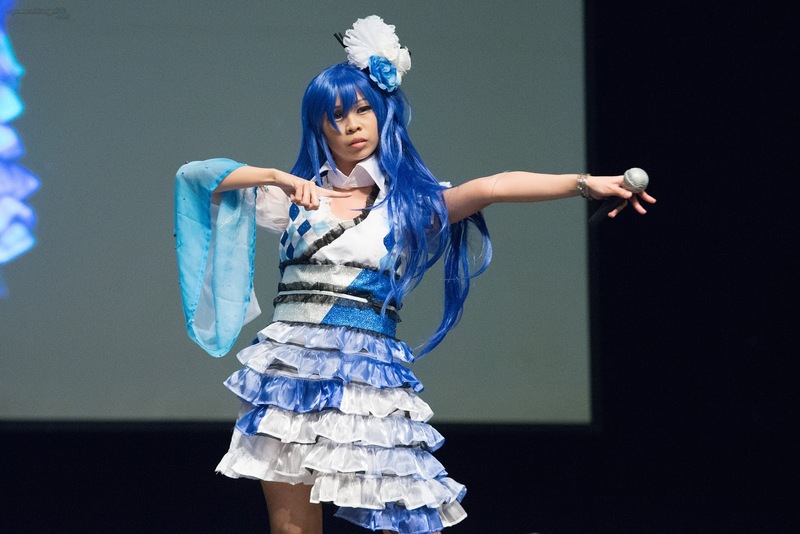 The cosplay Runway on Day 1 of ICDS showcased several participants on stage. There were a wide variety of characters that were cosplayed from Comics to Manga, Both from the Eastern and the Western Pop Cultures. with such attractive prizes is no wonder the teams and indiviuals performed so well that the judges had a hard time picking out the winners. FightSaber (Singapore) not only wow the crowd with thier showcase on stage, they have also provide some tips during 2 of thier panels on Saber choreography over the 2 days of ICDS. "I am not a girl, i am a DWAAAAAAAGON!" The Star attraction of ICDS is no other than the Annual Cosplay Chess. As popular as ever. Attendees of the event packed *Scape underground to wtach the outcome of the Cosplay chess which were decided by an earlier online poll. Well in the end, it was the DWAAAAAAAAAAAAAAAGON that save the day. For more captured memories head on over to the Gallery after the break. Also i have included Several footages that was recorded by our friends over at Operation P・Ani・C for your enjoyment. #ICDSG2015 #leagueoflegendsInternational Cosplay Day Singapore (ICDS) Cosplay Talent Showcase.